When a tooth’s interior structures become decayed (infected by oral bacteria), the intense tooth pain that comes with it will likely warn you of trouble before you even visit your dentist. However, many patients in North Hollywood don’t realize that their pain is caused by internal tooth decay, or that root canal treatment is the only way to relieve it. Today, we take a brief look at the severity of internal tooth decay and the reason why you need root canal treatment to save your tooth. Tooth decay is a progressive infection in your tooth structure caused by certain types of harmful oral bacteria (found abundantly in plaque). These bacteria erode your tooth structure after weakening and damaging your tooth enamel. When it’s caught early, the decay can often be removed and your tooth restored with a custom, tooth-colored filling. However, if you hesitate to treat your decay, then it can reach the pulp chamber at the center of your tooth, which is where the nerves and blood vessels are housed. These tissues also extend into the tooth’s root canal that rests within your jawbone. When your tooth’s pulp tissues become infected, including the nerves, the pain of your condition can increase dramatically. That’s because your tooth is in much more danger than before; if not addressed, the infected tissues can spread the decay through the tooth root and into the surrounding tissues. Fortunately, your dentist can stop this from happening by performing root canal treatment to remove the internal decay and restore the tooth’s health, strength, and integrity. Otherwise, the tooth may need to be extracted and you could require more extensive reconstructive treatment to address the problem. If your tooth is stricken with severe tooth decay, then you could need root canal treatment to save it. For more information, schedule a consultation by calling Modern Smile in North Hollywood, CA, today at 818-763-9353. We also proudly serve patients who live in Burbank, Toluca Lake, and all surrounding communities. Some dental treatments, like checkups and cleanings, are always necessary. Others, such as custom dental restorations and cosmetic enhancements, become occasionally necessary due to issues that develop throughout the course of your life. By contrast, tooth extraction is a treatment that not everyone will require, but those who do should never hesitate to undergo. For patients in North Hollywood, tooth extraction could be the best option for restoring their smiles and avoiding more serious oral health concerns. The thing about tooth extraction is that it’s typically recommended only when a tooth cannot be saved by other treatments or means. The reason why it becomes necessary is because allowing the tooth to remain could pose a much bigger threat to the rest of your oral health. For example, in the case of an extremely decayed tooth, leaving it in place could give the decay time to spread beyond the tooth’s root canal. If your tooth is severely damaged, then its inability to function properly could place undue stress on the rest of your teeth, not to mention the inevitable loss of the tooth as it becomes increasingly more damaged. How Will Extraction Affect Your Smile? By extracting the tooth, your dentist can stop it from leading to such dire consequences. Removing the tooth removes the threat, which gives your dentist room to replace the tooth and restore your good oral health and bite function. For instance, with a dental implant and crown, your dentist can not only restore the visible portion of your tooth, but also the supportive root that plays a significant role in keeping your jawbone and oral structures healthy. When a tooth is beyond saving, extracting it can be the best thing you do for your smile. For more information, schedule a consultation by calling Modern Smile in North Hollywood, CA, today at 818-763-9353. We also proudly serve patients who live in Burbank, Toluca Lake, and all surrounding communities. Most patients who lose teeth don’t hesitate for too long to replace them. 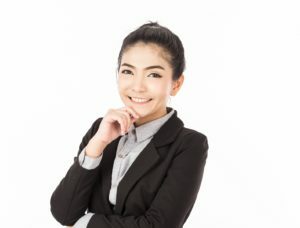 With the advanced state of modern dental prostheses, including the highly lifelike porcelain that they’re often made of, patients can rebuild their smiles and, for the most part, forget that they lost one or more teeth. However, there are many things about tooth loss that you might not realize, including how it affects much more than just your smile’s appearance and why traditional prostheses can’t help you address all of those effects. Because every structure’s most important component is its foundation, the most important part of your tooth structure is its root. With modern bridges and dentures, you can replace all of the visible portions of your lost teeth, but not the loss of their vital foundations. Your jawbone relies on stimulation for your body to send it enough nutrients. When you lose a tooth, this stimulation decreases, which can lead to jawbone deterioration (shrinking). The only way to stop this deterioration is to replace your lost tooth/teeth with one or more dental implant posts, which support a crown, bridge, or denture to fully restore your smile. There are many benefits to replacing your lost teeth roots with dental implants, including the restoration of stimulation in your jawbone. For example, anchoring your prosthesis in place with posts that are implanted into your jawbone eliminates the risk of your replacement teeth shifting. It also helps reduce your risks of losing more teeth due to a shrinking jawbone. If you can’t prevent tooth loss, then the next best thing is to rebuild your smile with one or more dental implants. For more information, schedule a consultation by calling Modern Smile in North Hollywood, CA, today at 818-763-9353. We also proudly serve patients who live in Burbank, Toluca Lake, and all surrounding communities. Dental bridges and dentures have long been a part of conventional dentistry because tooth loss has always been a significant problem. 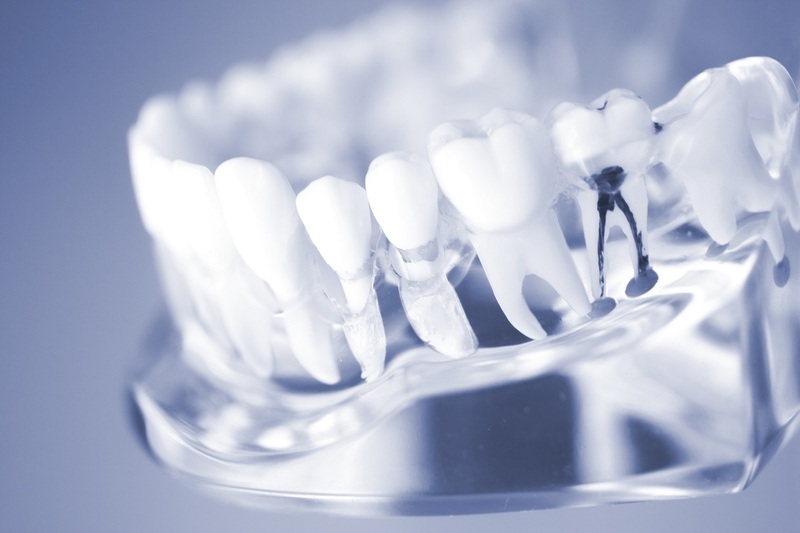 Today, they do more than just replace teeth; they also rebuild your confidence and bite function with the help of advanced technology and highly lifelike materials (like customizable porcelain). However, there is one thing that even advanced bridges and dentures lack – a prosthetic option for replacing your lost teeth roots. Fortunately, you can make up for it by upgrading your prosthesis with an appropriate number of dental implant posts. Why Do the Roots of Your Teeth Matter? The visible parts of your teeth, called the crowns, are important for several reasons. They fill out your smile and give it its healthy, youthful appearance. They also help you enunciate your words clearly and bite and chew your food so that your body can process it. All of this is possible because the crowns are supported by highly resilient roots, which rest securely in your jawbone. Besides supporting your crowns, your roots also stimulate your jaw when you bite and chew, and that stimulation is vital to maintaining the flow of nutrient-rich blood that flows through your jawbone. Why Upgrade Your Bridge or Denture with Implants? Dental implants are small, titanium posts that offer the first option for replacing the roots as well as the crowns of your lost teeth. The implants are inserted into the jawbone, near the empty sockets where your lost teeth roots once rested. 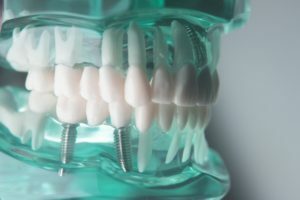 Your dentist can attach your custom bridge or denture to the implant posts, making it as comfortable and sturdy as your remaining healthy, natural teeth. The only thing modern bridges and dentures lack is a lifelike replacement for your lost teeth roots, which dental implants can provide easily and comfortably. For more information, schedule a consultation by calling Modern Smile in North Hollywood, CA, today at 818-763-9353. We also proudly serve patients who live in Burbank, Toluca Lake, and all surrounding communities. Root canals are most recognizable because of the treatment that involves restoring them. However, your tooth’s root canal is more than a vehicle for internal infection – it serves several vital purposes that are compromised whenever it becomes infected. Today, we take a look at the importance of your tooth’s root canal, and why seeking root canal treatment should be a top priority if you develop internal tooth infection. The root canal of your tooth is the inner canal within the center of the tooth’s root. Inside of this canal, the nerves and blood vessels from the tooth’s pulp travel to your jawbone, which sends nutrients to your tooth through these tissues. In addition to physically supporting your tooth, the root is also the connection between your tooth and the rest of your oral health. Because the root canal is connected to your tooth’s pulp, root canal treatment is most efficiently performed by accessing the pulp chamber and cleaning both the canal and inside of your tooth. Then, your dentist can seal the root canal and pulp with a strong, biocompatible material (known as gutta percha) to protect it from further infection. The main benefit of root canal treatment is the relief from your severe toothache that it will bring. An infection in your tooth’s inner structures can be several times more painful than a typical, more mild case of tooth decay. Besides pain relief, other benefits include the preservation of your tooth instead of its extraction, which has greater benefits for your long term oral health. If your tooth is severely decayed, then learn the facts about how root canal treatment can save it and restore your good oral health. For more information, schedule a consultation by calling Modern Smile in North Hollywood, CA, today at 818-763-9353. We also proudly serve patients who live in Burbank, Toluca Lake, and all surrounding communities. Your smile goes through a lot in life, and sometimes, keeping it healthy and beautiful means addressing a problem with its health and/or appearance. The more issues your smile has to deal with, the more complicated that process may seem. However, the goal of a custom-designed full-mouth rehabilitation plan is to optimize your smile’s health and appearance while simplifying the process as much as possible. That means combining one or more cosmetic and/or restorative dental treatments to address your smile’s concerns in an effective but minimally invasive manner. Everyone’s smile is unique, and so are the things that affect its health, function, and appearance. That’s why properly designing a full-mouth rehabilitation plan first requires a comprehensive examination of your teeth, gums, oral tissues, and jawbone using advanced digital imaging technology. Some issues may seem more complicated than they actually are, or may not seem complex at all but still pose a serious threat to your oral health. After your examination, your dentist will be able to more effectively decide which treatments may be most appropriate. The goal of any smile rehabilitation procedure is to optimize every aspect of your oral health. Rather than addressing each issue individually, your dentist will take your entire smile and oral health into consideration when designing your treatment plan. For instance, the right combination of porcelain veneers, cosmetic bonding, restorative crowns, dental implants, and/or other treatments may help fully restore your smile in less time than you would have guessed. 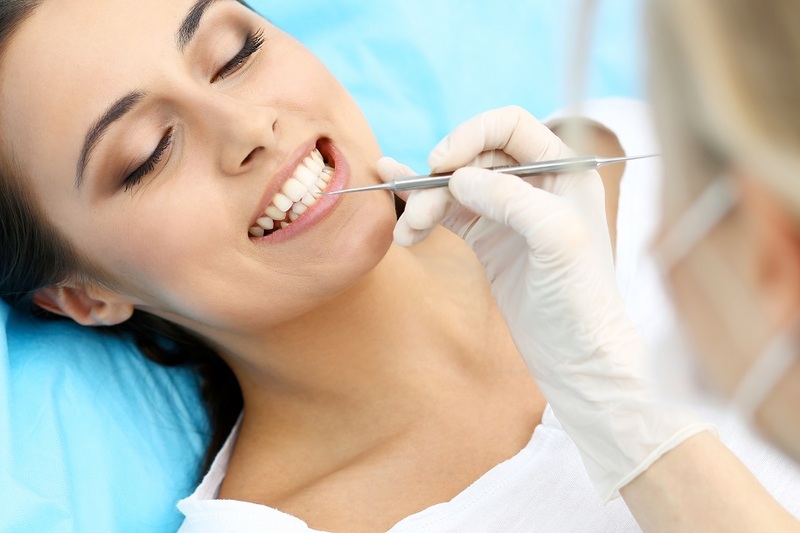 Your smile might face a lot of concerns, but with a customized full-mouth rehabilitation plan, addressing them can be a comfortable and convenient process. To learn more, schedule a consultation by calling Modern Smile in North Hollywood, CA, today at 818-763-9353. We also proudly serve patients who live in Burbank, Toluca Lake, and all surrounding communities.